One of the most common, annoying, and irritating side effect of a deviated septum is nasal congestion. While traditional decongestants work extremely well, if you are looking for a non-medicinal alternative then yoga provides the solution. Yoga is a tradition developed in India thousands of years ago; it involves the use of meditation and different exercises to ensure both spiritual and physical well being. It has been scientifically proven that yoga exercises when repeated continuously yield great results. In yoga there are specific exercises to help in decongestion (no matter the cause), thus by learning a few exercises and practicing them regularly you will effectively reduce/stop the amount of times you suffer from a congestion attack due to a deviated septum. 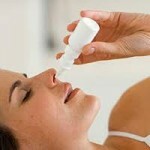 What is Deviated Septum Nasal Congestion? 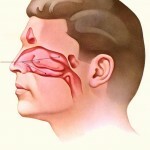 The excess secretion of mucus inside the nose is known as nasal congestion. A deviated septum (a medical condition wherein the septum becomes deviated) increases the chances of congestion occurring, since the space in one side is lowered and since it prevents the drainage of the sinuses. This condition is known as deviated septum nasal congestion. Sarvangasana for Nasal Congestion caused due to a Deviated Septum. Lay down on the floor on your back. Ensure that your hands are near the body and your legs are touching each other. 1st stage: Raise both legs into a 90 degree angle slowly while inhaling. 2nd stage: After that slowly use your hands to support your body at your hips as you raise your body to the 90 degree angle. Make sure to exhale as you perform this asana (exercise). Ensure that your body is erect and that your legs are pointing straight towards the roof. After 30 seconds, fold your knees and return to the original position while using your arms to support your body. Sit on the floor with your knees (ensure that your heels are pressed against your buttocks). Place your wrist (balls of your hands) on your knees, while keeping your arms, back and head straight. While inhaling, lean forward, while stretching your jaws as wide as possible, extend your tongue downwards as far as you can. Hold the position as long as you can (while inhaling), when you start to exhale, return to the original position. 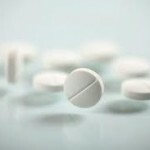 The above two exercises will be a little tough in the beginning, but with practise they will become easier and they will help to cure deviated septum nasal congestion. 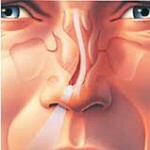 Please also check our our general article on yoga exercises for deviated septum’s side effects.